Here is my Call to Worship and Sermon from Sunday Sept. 5 at Williamsburg Unitarian Universalists. Sometime when the river is ice ask me whether what I have done is my life asks William Stafford in his poem “Ask Me!” How many of us wrestle with the questions of who am I? What does it all mean? Is this all there is? 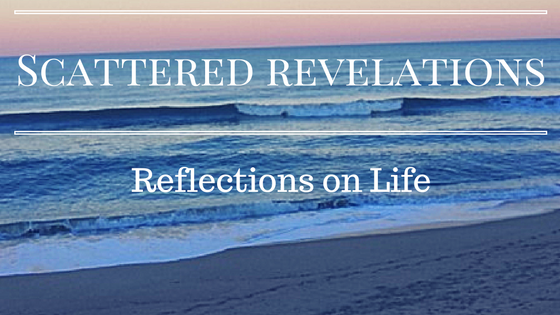 These are profound spiritual questions—for no one can tell you the answers. Oh plenty will try—they will promise you riches, happiness, no worries –just read this book, take this seminar. Many promise to have the secrets of life all figured out and if you just buy their product you can be happy too. It is not just self-help gurus that promise to give each of us the secret answer to our lives, religions have promised it as well. Just follow this god, follow these ten simple rules, follow me, or join this community. Even our family members and friends will tell us who we are. Yet we know deep down, that no one can give us the answers. Yet we are not on our own either. It does help to hear others journey’s, insights that have been gleaned along the way. It helps to share our own journey with others and know deeply that we are not alone in our questioning and our quest. How can we learn to truly be a help and not a hurt on the journey? How can we discern the voices to find the truth? So we come together this morning to ask the questions, to sing, to pray, to listen. Come let us worship together. So I have been doing a great deal of thinking and reflecting on who I am, what I am doing, have done, what I hope to do and doing lots and lots of reading. This question of who am I and what am I called to do is one that I have long wrestled with and while on my silent retreat this spring, I read Parker Palmer’s book Let Your Life Speak: Listening for the Voice of Vocation. Parker J. Palmer has been quite present in my life this year – from his book The Active Life to The Courage to Teach to Let Your Life Speak, Palmer writes to the questions I am asking. I love discovering a “new” author and delving deeply into his/her work. The question of who am I is closely tied to the question what is it I am called to do. Like Parker Palmer I have had the moments of disquiet, a knowing that there is a life longing to be lived in me. We live in a world that does not want us to ask these deep questions or wants to provide easy answers to them. Some of them take parts of wisdom, strip all the hard parts away and leave us with a feel good notion that we can get through life without pain or without suffering. This world sells that happiness comes from financial security and through being able to buy the objects that will make us happy and whole. Expectations and obligations abound – from families, television, movies, all around us. We are given a vision of the good life – one without suffering or pain or hard times. It is a world of dualisms – dividing life up into good and bad, success and failure – yet life is more complex than that and reality is that life is more paradox than either or. If you just do these things it promises – then you will be whole. Yet what happens when one follows all the rules, does what is expected and then things still fall apart as they inevitably do? What does one do then? What happens when we learn that there is not a one-size fits all answer to the question “Who Am I?” What happens in those moments in the middle of the night or when it is quiet and something deep within calls out and demands more? What happens when we realize that the expectations that those we love have for us are not our own? These questions are not for ourselves alone – for sometimes this disquiet, this piercing comes because we see or hear or learn about others suffering, about injustice and one answer is just to say it has always been that way and it always will be. Another is to ask, how am I called to respond? How does this suffering, injustice of another change me? Do we allow it to change us? For call is not just about the self, it is about what one is called to be in the world, to serve the world. For if we can seek the answers to who am I and what am I called to do, then we can better serve the world us, for we will do so grounded, grounded in self-knowledge, grounded in our authentic selves. What are the barriers to our becoming our authentic selves, to answering the question who am I. The barriers are mostly our fears – ridicule, failure, loss, getting it wrong. Yet these fears can also be our guides. What if we face them? What if we risk failure, loss, getting it wrong? What might we learn about ourselves and others? I know a great deal about this fear of failure, for I know that all too often I have allowed that fear to make the choices for me. After I graduated from college, I had no idea what to do next. All I had known is school and this whole world of work and living on one’s own felt overwhelming and terrifying. I moved home and took temp jobs. I was searching for my call and vocation. I did career assessment, I volunteered, I did informational interviews. My parents certainly had certain expectations of me as a graduate of Georgetown University. Through the years following that initial terror of being out of school, I tried on a variety of careers. Yet there was also this sense of restlessness, boredom would set in and I would look for a new job. I faltered between risk and fear of failure. It has only been in the last five years or so that I can truly say that I have embraced and owned this path. It is only recently that I know what it is I am called to do, to embrace my call and not run from it. What has made the difference? Well for one I have stopped running from the call and embraced it. I finally stopped running away from what I know to be true. I know deep inside that ministry is the work I am called to do in the world. Yet I know that the quest does not end here and in fact it is only the beginning. In what forms and shapes will this ministry take? And to do ministry well, means that I must embrace my true self, not a facade, not a mask. Otherwise I risk becoming one of those charlatans who promise easy answers to deep complex realities. To embrace this call meant I had to let go of the expectations others, including those of my family. To embrace my fear of failure right now means risking going deeper, to sharing more of myself and asking for help. I learned this lesson recently as I traveled to Charlotte for my career and psychological assessment. I had already put this appointment off for a year because I could not figure out the logistics of getting to Charlotte. Finally I broke down and wrote to colleagues in Charlotte asking for help with a place to stay and transportation. It was hard to ask for help. It was hard to admit that I just could not afford to rent a car and stay in the hotel near the center. A religious educator colleague put my request out to her congregation and within a couple of days I had a place to stay and transportation each day. In addition, I had the gift of people reflecting back to me that this call to ministry is not just something in me—others see it too and want to help accompany me on my journey. If I had continued to allow fear to keep me from asking for help—I would probably have not been able to keep the appointment and complete this important step in the ministerial formation process. I would have also missed this mirroring back to me about my call to ministry and I would have denied this colleague and the members of her congregation of the opportunity to assist me. How much would have been lost! What must one do to become oneself? One must embrace oneself fully—including all the parts that we would rather deny or reject. Palmer quotes Florida Scott Maxwell who puts it this way “When you truly possess all you have been and done..you are fierce with reality.” (Palmer, Let Your Life Speak, 70) Of course this much easier said than done; to fully own all the events of your life means owning the moments you would rather forget, owning the mistakes and the failures. And in order to own them, one must remember them, admit to them and then learn to own them as a part of the journey. The journey to becoming oneself is a long one—there are no short-cuts. While it is journey we must take on our own, none of us does it alone. That is part of the paradox we must embrace. We will need companions on the way. The journey is our own individual path and yet none of us does it alone. Do we have a choice about taking the journey? I think we reject the journey at our own and the world’s peril. For failure to take the journey means that we deny our true selves. I think all around us we can see the failure to embrace the inner journey, the journey to our true selves. Everyday people chose to anesthetize themselves with all sorts of distractions that keeps the inner life at bay – and with often tragic consequences. These efforts also fail – for the inner life will keep beckoning, keep calling. Our calling comes from within, who we are, what we are called to do, comes from deep within. To deny the call is to deny the world the gifts that we are meant to bring, the gifts only we can bring – what a loss. When we live other lives, put on other people’s faces, then what is lost is ourselves.